Funny Prank Funny Trick Notepad Prank: Make MATRIX Effect Using Notepad..!! 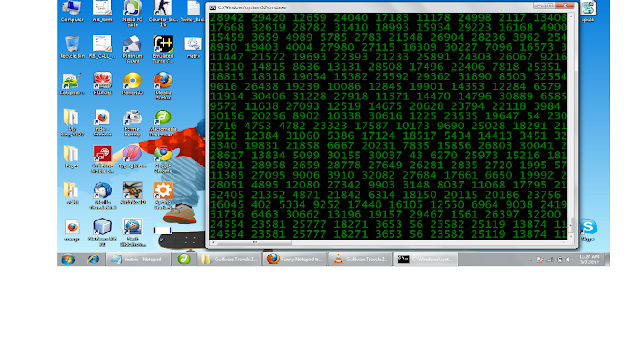 Notepad Prank: Make MATRIX Effect Using Notepad..!! Step 1: To make a matrix effect at first open your Notepad. Step 3: Now you just have to save the file by giving .bat extension. Click File and then click Save As , Type any name and give the .bat extension. For example, matrix.bat or name.bat. >>Open the Notepad File and you will be amazed to see Real Matrix Effect..!! Whoever believes this is a complete dumbass, Matrix is in binary of 0's & 1's, anything with a 2+ in it will null the information it is trying to give. Buddy, i think u have not seen the movie Matrix, this is not about maths,,!